Announcing our new location in Beltsville, Maryland! 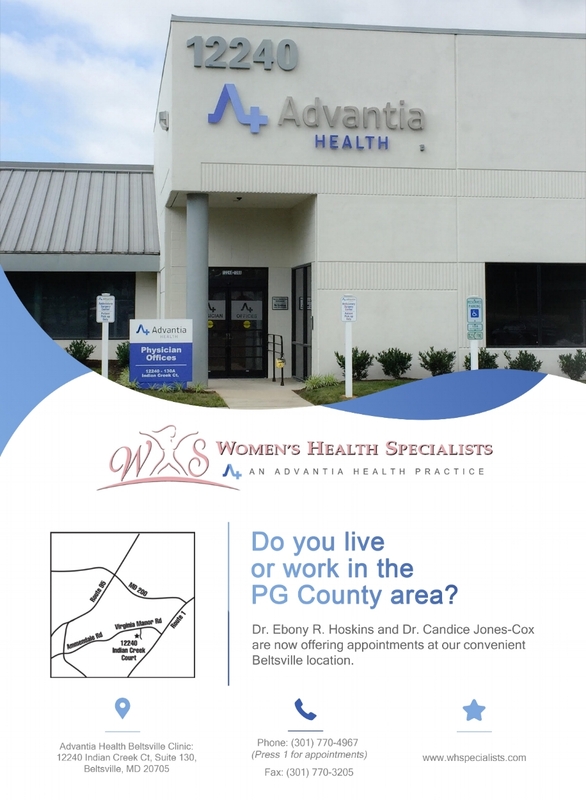 We are pleased to announce that we will be adding a new location in Beltsville, Maryland at 12240 Indian Creek Ct, Suite 130A, Beltsville, MD 20705 to better serve the PG County Area. Dr. Ebony R. Hoskins and Dr. Candice Jones-Cox will be offering appointments at this conveniently located office starting in April. Our staff will be happy to answer any questions you have regarding our practice or our new location. Please feel free to call us at (301) 770-4967, or speak with the front desk at our Rockville and Germantown locations. Now Offering Ultrasound at our Germantown Office! Congratulations to our 2017 Washingtonian Top Doctors!